The Narrative Enneagram is an International Enneagram Association (IEA) Accredited School. Helen Palmer and David Daniels, MD co-founded the Enneagram Professional Training Program (EPTP) in 1988. Our organization has evolved as an educational nonprofit to sustain and promote this foundational work worldwide through a Narrative Enneagram Curriculum that integrates psychology, spirituality and somatics, and other Enneagram programs grounded in the Narrative Tradition. Congratulations! 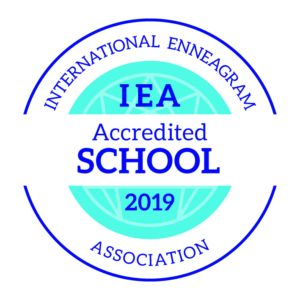 Your application for IEA School Accreditation has been accepted, and your school, Enneagram Studies in the Narrative Tradition, is now an IEA Accredited Enneagram School. First, it signals to people that your school maintains a high standard of excellence through your Enneagram curriculum and that you, as the owner of the school, have agreed to abide by the IEA’s code of ethics in your Enneagram activities. It also communicates your active participation in the IEA’s efforts to maintain high ethical standards in that you agree to pass these ethical standards on to your students. Second, this IEA accreditation demonstrates your involvement in and dedication to the larger Enneagram community through your relationship with the International Enneagram Association. And third, it reinforces to the public that the IEA is a self-regulating community, dedicated to the maintenance of high-quality Enneagram-related work, and that your school is a valuable part of this international effort. Importantly, the IEA Accreditation will differentiate your school from other schools who may not adhere to these high intellectual and ethical standards in all their Enneagram training and who do not have IEA Accredited teachers. Accreditation of Training Programs (ATP) and Schools (AES) does not lead to the students of the school/program being automatically accredited. Every individual should apply for accreditation at IEA. Finally, thank you for participating in the International Enneagram Association’s accreditation program. By achieving this accreditation you support the IEA’s efforts throughout the world to create and maintain a high standard of quality in all Enneagram-related work. We appreciate your support in this important work to raise consciousness all around the globe.